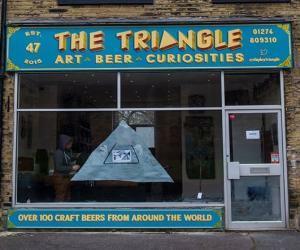 The Triangle01274 809310work ShopThe beer shop, with over 100 craft beers from around the world. Art gallery on the 1st Floor. The beer shop, with over 100 craft beers from around the world.